In Italy, the risk of making a brutta figura is waiting just around the corner. The importance of appearance and a good impression – the bella figura – cannot be overstated in Italy. It is tied strongly to reputation and even honor, as old-fashioned as that sounds. To see this in more modern-day terms, the next time you’re in Italy, take a look around you. People and places are highly curate, carefully tended to down to the last detail. Even driving through the Piemonte countryside, I notice how every last square foot of land is planted with flowers, or how something as mundane as the driveway is a study in art and architecture. Your clothes, accessories, how well you clean and organize your home or shop all take part in creating the bella figura. In the flip side is the brutta figura. Rather than “bad impression,” this can best be translated to “making a fool out of yourself.” Lots of things can cause you to make a brutta figura. And not all of them are obvious, like wearing flip flops in the city or sweatpants in public*. Many ways of making a brutta figura are cultural. I was given the perfect example at Buster’s Coffee. 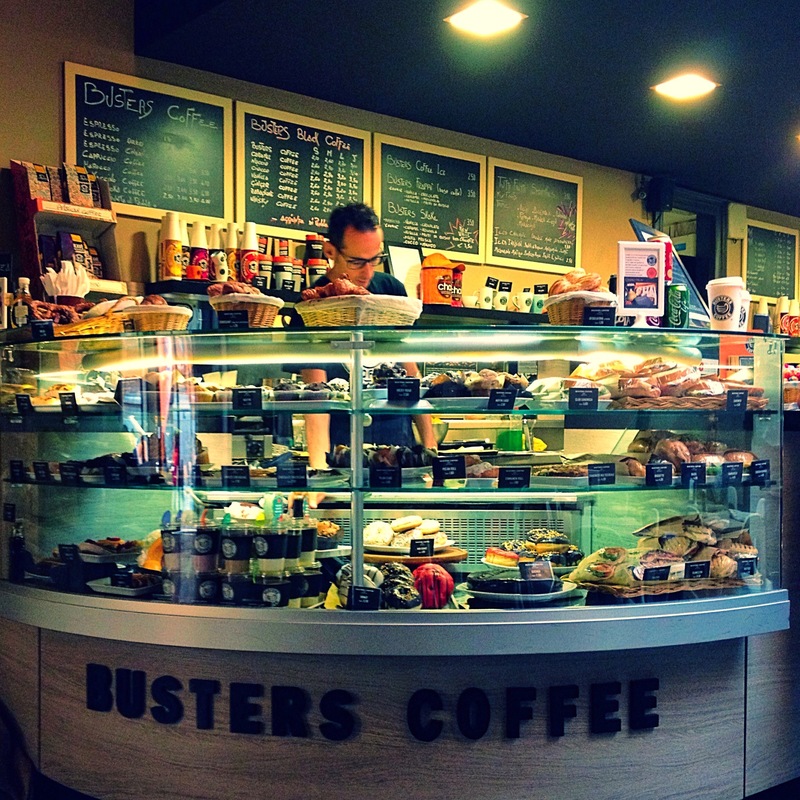 Buster’s Coffee is a small chain in Turin (with one shop in Asti) that is basically Italy’s answer to Starbucks. It’s filled with comfy chairs and wall outlets to plug your computer into; it has free, working WiFi (not so common Italy); students go to hang out and talk for an hour or two; and it serves a selection of coffees, drinks, and foods that can only be American coffee-shop inspired. 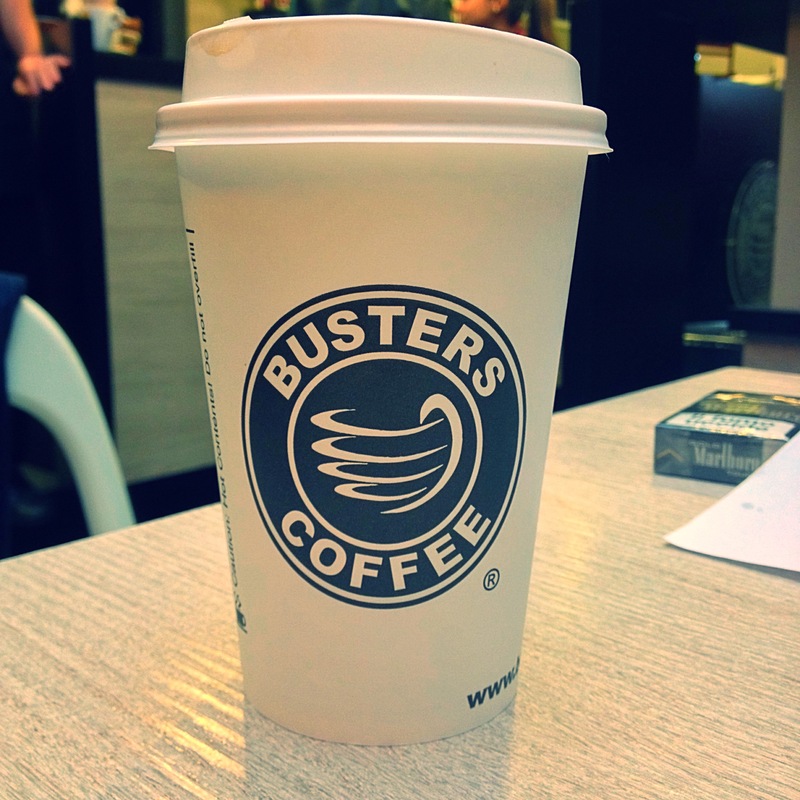 In a country where caffè all’americano will get you espresso served with extra water, Buster’s Coffee has real drip coffee! They also serve coffee to-go in paper cups with a heat glove and sippy lid. My boyfriend, our friend and I headed to Buster’s for a special breakfast. When we got our orders, my (Italian) boyfriend immediately removed the lid. This was not to let the caffè cool off inside, as I would find out later. Then we sat down to a breakfast with donuts and finished our drinks inside. A kid walked by with headphones on and a to-go cup in hand, and left the coffee shop. The guys snorted in laughter. “He’s just doing that to be like a cool American.” Neither of them, they insisted, would be caught dead carrying around a to-go cup in the city. The only explanation I could get was that it’d be a brutta figura. The severity of the brutta figura faux pas depends on where you are. Southern regions put even more import on the bella figura, so it’s easier to make an idiot out of yourself on a day-to-day basis. Generally, cities with more touristic influence like Rome, Florence, or Milan see this kind of crazy, to-go-cup-carrying behavior. Turin is still quite Italian, and has only recently been showing up on the tourism radar. Perhaps in four or five years, my boyfriend may feel like he can walk around, coffee in hand, without shaming himself and his family. I, on the other hand, can do it already! In this specific case, I’d be carrying a to-go cup around as an American, not because I’m trying to seem like a cool American. Totally okay. How can you avoid making a brutta figura? If you’re not Italian or haven’t been living in Italy for four decades (even then, it’s no guarantee), you can’t. You will be noticed. It’s in the way you walk, in the shoes you’re wearing, in your white athletic socks when you’re not going to the gym. It’s in the way you look around you, in your too-friendly smile. But don’t stress out. If you’re a tourist – and the Italians will know – you’re allowed to do lots of things that would otherwise be considered a brutta figura. As long as you’re polite, aware, and respectful of others around you, you’ll be fine. Your faux pas will be quaint, and you won’t make your entire country look bad. If you live for any amount of time in Italy, some things will begin to come naturally. You’ll smile at everything less (and only when you really mean it). You’ll wear darker clothing. You won’t eat an apple while walking down the street (though gelato is totally fine, obviously). But you won’t ever be free of the possibility of making the brutta figura. The risk is, after all, just around the corner. *People living in northern Italian cities may notice that the “code of appearances” is relaxing. You might even see sweats in public, gasp! Too funny, but I guess, true. 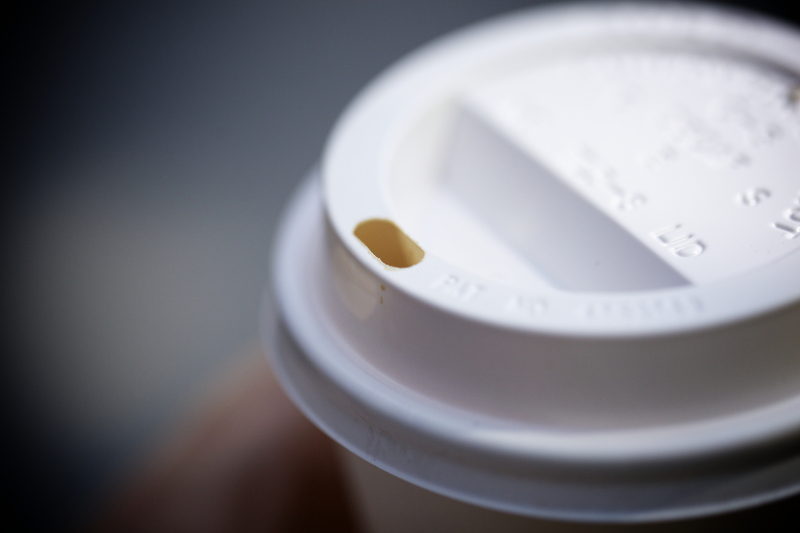 We learned about how & when it’s OK to order cappuccino on our first trip – after breakfast? Bruta figura for sure! When you can drink a cappuccino seems to be one all tourists are warned about! It’s not a huge deal — sometimes I’ll have one as an afternoon “snack.” Just never get it after dinner! You’re right! And there is definitely some “brutta figura” in that because you’re not eating it delicately and with restraint, but like a beast. At least, that’s what I always feel they’re thinking when I bite into a peach with its fuzzy skin on. I love love love this post. The honesty. The truth. You are right… several things bother me too. like the Italians staring at me when I try to ask anything in Italian or looking at my shoes especially if they are comfortable walking shoes.. Coz I can’t wear pencil heels and walk on the cobbled roads.. I just can’t! So glad you enjoyed it! I agree, heels on cobblestones…no. Ha ha ha!!! All so true. After years in Italy I actually enjoy breaking the rules sometimes, just to get them hot under the collar. And I love turning it back on them and pointing out when THEY are making a brutta figura. I can see how spotting someone else making a brutta figura would be so satisfying! Really enjoyed this. It’s odd to me how many similarities you can find between (traditional) Russian and Italian culture…though I’m pretty sure Russians wouldn’t care about carrying around a to-go cup. And, er, manners are more of a theory than a practice. Though I haven’t been to Italy, I found this post amusing as it reminds me so much of how American tourists are viewed wherever we go! I hope to experience Italy some day and until then will enjoy experiencing it here. I, too, am taking part in the Writer’s Digest October platform building challenge and am writing about people, and food, and love and life viewed from the lens of a 50 something. I invite you to check out my pages at http://www.fiftyphilosphy.com. Thanks for stopping by and glad you enjoyed it! Thanks! I’m glad I’ve got the approval of an Italian. “‘Cool American” an oxymoron, surely? Haha yeah…that can be taken tongue-in-cheek. Those Starbucks -type lidded cartons are just toddlers ‘sippy cups’ . And walking about drinking from them likewise looks infantile. Totally brutta figura! And what are people doing with American coffee in Italy anyway? Another reason I don’t think these will catch on. Soon! Let’s start getting some ideas thrown back and forth, I am up for a podcast.